Viacom, Inc. (short for Video & Audio Communications) is an American global mass media company with interests primarily in movies and cable television. It is the world’s sixth largest broadcasting and cable company by revenue. The company has audiences in over 160 countries and territories and operates through two segments: Media Networks and Filmed Entertainment. Viacom Media Networks’ program services reached approximately 700 million households in over 160 countries. Viacom Media Networks operates the international extensions of the multimedia brands MTV, VH1, Nickelodeon, Comedy Central and BET, as well as certain program services. The Company’s Filmed Entertainment segment produces, finances, acquires and distributes motion pictures and other entertainment content. under the Paramount Pictures, Paramount Vantage, Paramount Classics, Insurge Pictures, MTV Films and Nickelodeon Movies brands. Even though it’s a large cap stock that pays a healthy and stable dividend of 3.6%, investors have not been kind to it lately. The stock’s weekly performance is down 10%, and the year to date performance is down a whopping 39%. Lackluster earnings and cable cutting by many Americans paint an uncertain future for this media giant. But perhaps the negative sentiment towards Viacom has been overplayed and overdone. Maybe now is a good time to analyze this company to determine if it’s a good long-term investment, or a value trap. Viacom currently gets 50% of it revenues from advertising and the other 50% from affiliate fees. It owns some well-known brands on network TV such as Comedy Central, MTV, Nickelodeon, and Spike. Some analysts believe the combined IPs and well-known brands owned by VIAB is worth double what the stock is trading at today. With a low valuation of just 6.3 times price to earnings ratio the stock is looking like an attractive opportunity when compared to its competitors such as Time Warner, Comcast, or CBS which all have P/E ratios above 15 times. Barry Schwartz Barry Schwartz , V.P. & Portfolio ManagerBaskin Wealth Management has owned Viacom shares for a long time, and it has meaningfully underperformed, but there are some great reasons he thinks people should take another look at it, especially since there is some potential for consolidation with CBS. Viacom has recently started to focus on following the Disney (DIS-N) model by spending a lot of money on advertising and reinvesting in itself. It also has some real estate on the company’s balance sheet. The company has been paying down its outstanding debt lately. On September 30, 2015, total debt outstanding, including capital lease obligations, was $12.29 billion, compared with $12.70 billion on September 30, 2014. In September 2015, the company repaid the $250 million of 4.25% Senior Notes due September 2015, as well as $550 million of 6.25% Senior Notes due April 2016 from cash on hand. 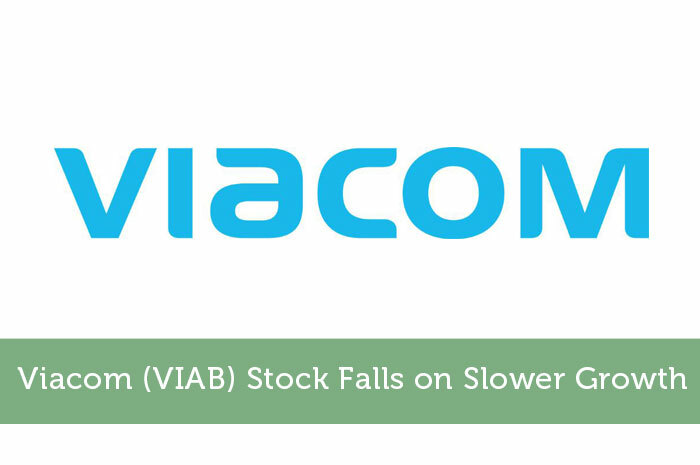 Out of 35 analysts surveyed by Reuters Estimates that cover Viacom Inc, the consensus rating for the stock is currently a hold. The rating changed on November 23, 2015 when it was downgraded from a buy. The biggest risk the company faces is the cord-cutting argument. New technology and streaming services such as Netflix is giving consumers an alternative to classic cable television so many households are canceling their business with Viacom. The problem is nobody knows the extent of this trend in the future. Netflix currently has a P/E ratio of 328, making it about 50 times the P/E ratio of Viacom. This also makes Netflix about 3 times more valuable than Viacom. Netflix may have a faster growth rate, but Viacom is still a fundamentally solid company. Its price to earnings growth is 0.68 and the price to sales growth is 1.32. That being said the future growth situation of Viacom is anyone’s guess. A lot of investors have written off the stock already, but if the company can continue to grow its bottom line and remain relevant in an ever-changing competitive environment then this may be a good time to give the stock a second look. This author has no positions in VIAB and does not plan to open any positions in at least 72 hours after the publication of this article.